I was invited to speak at the 11th Hardware Developers Didactic Galactic group at the Supplyframe office in San Francisco. I talked about the misconception that capacitors are a simple device. Chris Gammell recorded the discussion and posted it via PHY Media. This video is about 50 minutes. In this talk, I break down a few things to know about Ceramic, Aluminum, Tantalum, and Supercapacitors. You can see the full video via PHY Media’s YouTube Channel: They’re JUST Capacitors. For links and the slides, check out this post. A switching voltage regulator is one of my favorite circuits. In school, they were the first circuits I built where I understood how transistors worked. In fact, they were the first circuit I saw an inductor being useful! Switching regulators are incredibly efficient when designed properly. Of course, this detail about design is important. They are not as simple as a linear regulator, which is basically an IC and two caps. To understand the basics of a switching regulator, I released AddOhms #18 this week. 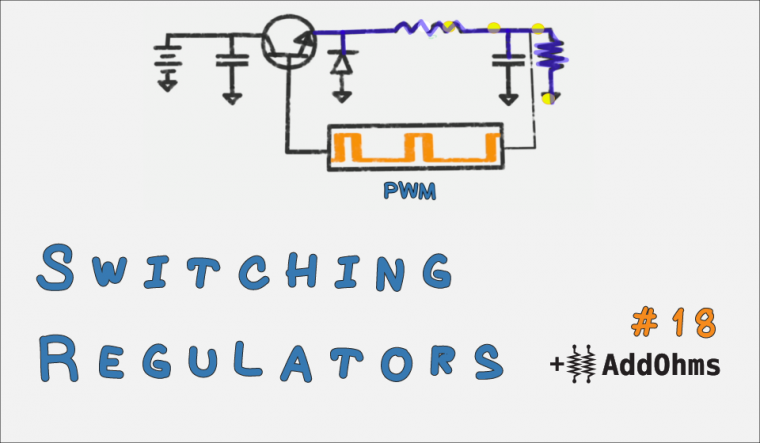 This is video tutorial dedicated the Switching Voltage Regulator. If video tutorials aren’t your thing, then keep reading for my written tutorial. 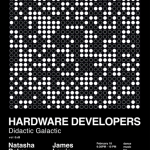 Hardware Developers Didactic Galactic is a group for hardware designers, hackers, and enthusiast to discuss hardware-related topics. HDDG11 (or 0xb) featured a presentation from SnapEDA CEO on Footprints and my presentation on Capacitors. Titled “They’re JUST capacitors?” I used content from my time as a KEMET Field Application Engineer. 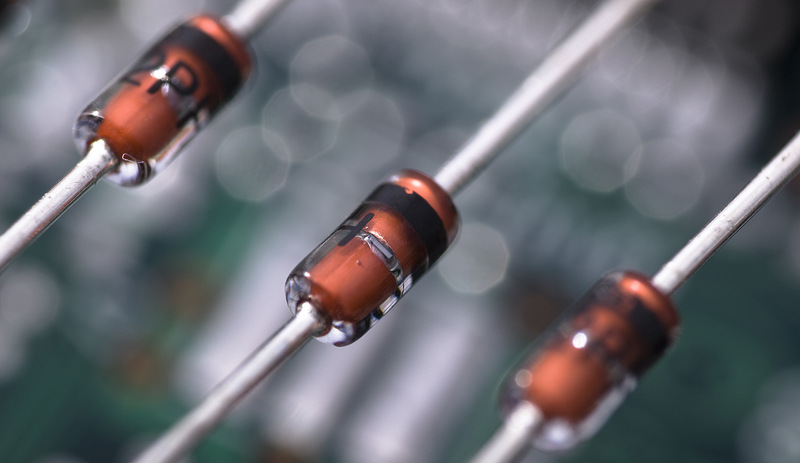 In the presentation I address the common myth or guideline: “capacitors should be derated 50%.” Comparing Aluminum, Ceramic, and Tantalum we discuss why each technology has a de-rating associated with it. Turns out, they all have different reasons to de-rate. Additionally I give a brief introduction to Supercapacitors. (You’ll note that it is spelled with one word…) The key to understanding what makes them “super” relies on how they achieve the common capacitor structure of electrode plate, dielectric, electrode plate. Questions related to capacitors or this content, should be asked through the KEMET’s Contact Us. Whether you are an engineer with enough experience to be called a graybeard or a novice that keeps grabbing the wrong end of a soldering iron, there is one component that eludes everyone working in electronics. A seemingly simple device, turns out, to be incredibly complex. While the basic electrode-dielectric-electrode structure sounds simple, the materials used in that structure drastically changes the characteristics of the device. 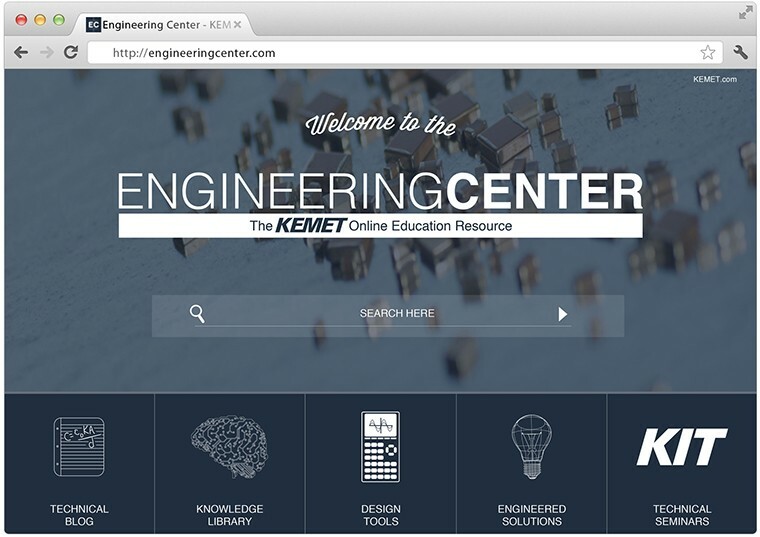 KEMET Engineering Center Screenshot, Courtesy of KEMET Corporation. There’s a new website created by KEMET Electronics which aims to educate all levels of engineers about the ins and outs of capacitors. They call it the KEMET Engineering Center.